Dubbed ‘Planet X’, Nemesis or Tyche, it was believed that this mysterious large planet or small star might periodically pass through outer comets, sending them flying towards Earth and causing mass extinction. However, researchers today admitted it may not exist after an exhaustive search of hundreds of millions of objects. 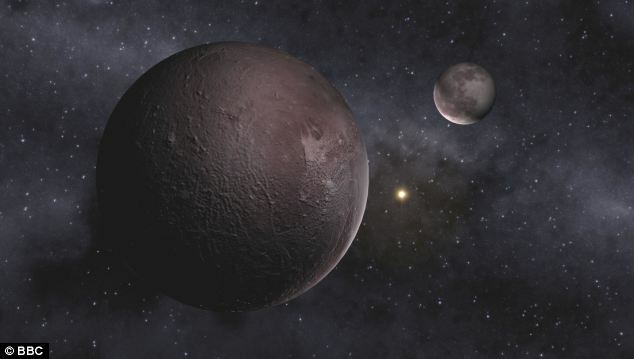 An artist’s impression of Pluto: Researchers had theorized about the existence of a large, but unseen celestial body called Planet X and suspected to lie somewhere beyond the orbit of Pluto. ‘The outer solar system probably does not contain a large gas giant planet, or a small, companion star,’ said Kevin Luhman of the Center for Exoplanets and Habitable Worlds at Penn State University, University Park, Pa., author of a paper in the Astrophysical Journal describing the results. However, the team admit their research was not wasted – and say they found several thousand new residents in our sun’s ‘backyard,’ consisting of stars and cool bodies called brown dwarfs. ‘Neighboring star systems that have been hiding in plain sight just jump out in the WISE data,’ said Ned Wright of the University of California, Los Angeles, the principal investigator of the mission. 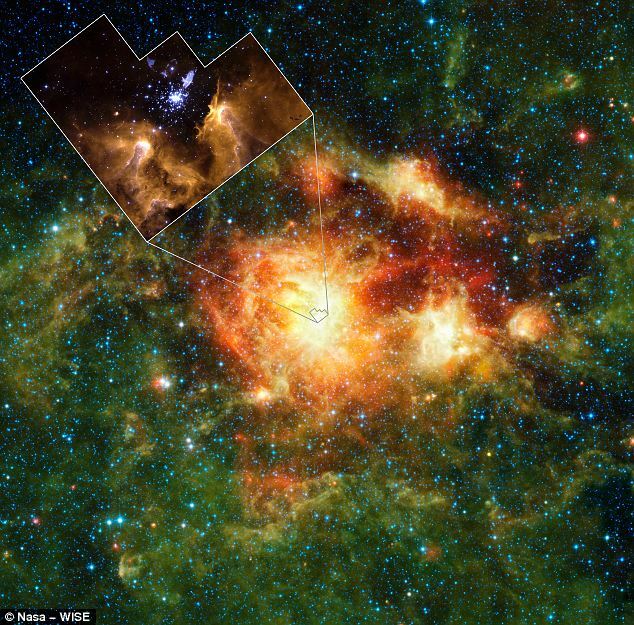 ‘We’re finding objects that were totally overlooked before,’ said Davy Kirkpatrick of NASA’s Infrared and Processing Analysis Center at the California Institute of Technology, Pasadena, Calif. Kirkpatrick is lead author of the second paper, also in the Astrophysical Journal. Some of these 3,525 objects also were found in the Luhman study, which catalogued 762 objects. Despite the large number of new solar neighbors found by WISE, “Planet X” did not show up. Previous speculations about this hypothesized body stemmed in part from geological studies that suggested a regular timing associated with mass extinctions on Earth. The idea was that a large planet or small star hidden in the farthest reaches of our solar system might periodically sweep through bands of outer comets, sending them flying toward our planet. The Planet X-based mass extinction theories were largely ruled out even prior to the new WISE study. ‘We think there are even more stars out there left to find with WISE. ‘We don’t know our own sun’s backyard as well as you might think,’ said Wright. WISE was put into hibernation upon completing its primary mission in 2011. In September 2013, it was reactivated, renamed NEOWISE and assigned a new mission to assist NASA’s efforts to identify the population of potentially hazardous near-Earth objects. NEOWISE will also characterize previously known asteroids and comets to better understand their sizes and compositions.